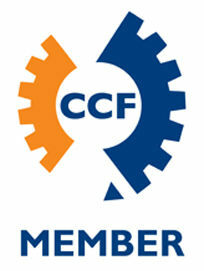 Our Company is prequalified by CM3 as a Category 2 contractor. This is updated annually. Our operators are all ticketed and have experience with many differing types of work . The Operators have been trained through the Civil Contractors Federation OH&S Induction (which is Workcover accredited) and have been issued with Citab Safety Cards. 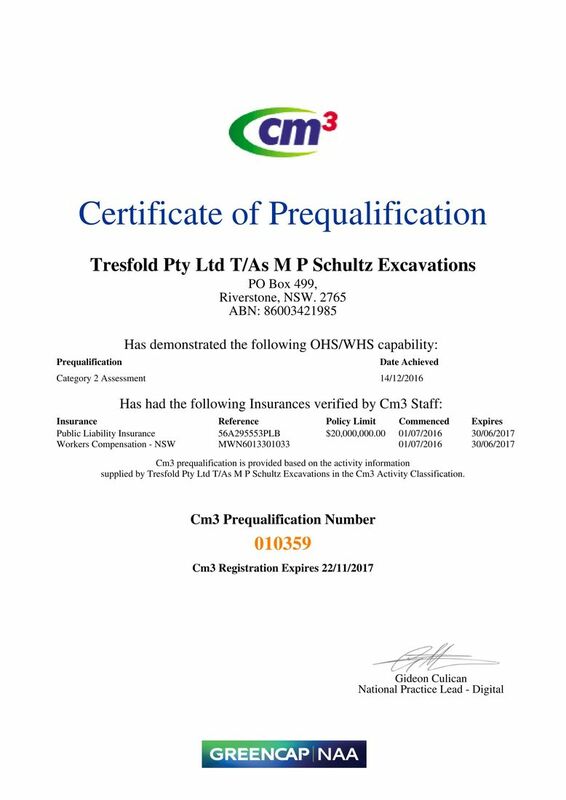 Our supervisor, Paul, is qualified in Horticulture and landscaping, is a ticketed operator and has been certified by Workcover O.H&S as a supervisor. M.P. Schultz Excavations commitment towards the health, safety and welfare of its employees is of extreme importance within its operations. The company recognises and accepts its responsibility towards ensuring the health, safety and welfare of its Employees. The management demonstrates through policy development that health and safety receives priority attention on a continual basis. All employees are expected to demonstrate a willingness to embrace the concept of safe work practices and a safe working environment. Employees are required to work in a healthy and safe manner whilst discouraging others from working in an unsafe manner. Education / Training of all employees on Health and safety issues is considered to be a natural course of employment and all employees will be encouraged to embrace this concept.